A waiver form must be completed by a guardian or by the adult participating in the activity. If you have filled one out in the past year you will not need to have a second form. Each individual must be listed on a waiver form. When making a booking online, you will be sent a confirmation email via the booking system- 'try booking'. It is advised that you check your junk mail or spam in case your computer settings have blocked the email from arriving at your given email address. If you do not receive a confirmation email within 10 minutes of booking, first check your junk/spam mail and then contact Cirque M who will confirm the email address you have given when booking. 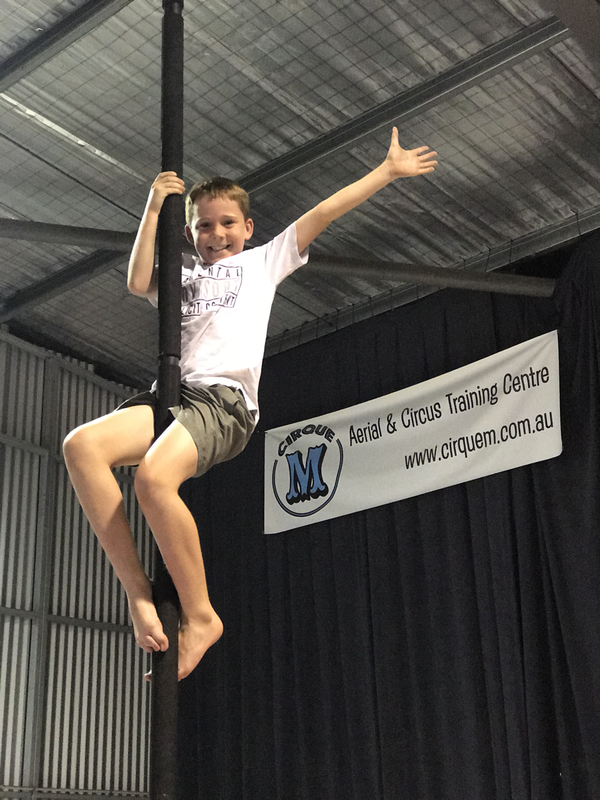 It is up to the student or persons making the booking to retain the details of the class times and start times of the sessions as per the timetables listed on the Cirque M website, the Facebook and at the Cirque M venue. We do not reserve places in term classes. It is first in first served. Exceptions are strictly at Cirque M’s discretion only. If you will miss part of the course throughout the term there is no make up classes. All students must respect other students and treat the instructors with respect. Students who do not act appropriately within the premises will be asked to sit out of a class and re-entry is at Cirque M’s discretion. If a student is asked to leave there will be no refund on classes purchased as a place has already been booked for the term. Cirque M does not take any responsibility for personal belongings brought into the Cirque M venue. A refund will be issued up to 1 week prior to the commencement of the Term. There is a cancellation fee of $5 to cover admin fees. After this time frame, a refund is not possible as we strive to keep a healthy and safe student teacher ratio and limit the number of kids in the class. However if you are able to find a suitable replacement student prior to the term commencing, we will happily allow them to take your spot. a suitable replacement is a student of the same level and age as the original student who purchased the class. of is at cirque M's discretion to determine the suitability of the students level. If you are sick or cannot attend a class for some reason, we are unable to offer a refund for the same reason that you hold a valuable place in the class. The student replacement cannot occur in this instance. If there is a natural disaster and our class needs to be cancelled because of it, we will reschedule up to 1of each of the classes affected if there is an exact replica day and time available in week ’10’ within the same school term. If there is no exact day available in week 10 of the same term then no class will be made up. There is no change of mind refunds on classes at Cirque M. Any exceptions will be strictly at Cirque M’s discretion. ​Please read before booking your lesson and by all means ask us to clarify anything if you have further questions. We understand that life can just throw you a curve ball at times and cancelling may need to happen. We have a 24 hour cancellation policy where up until the 24th hour beforehand, there is no cancellation fee. So for a 6pm lesson on a Wednesday, you can re-schedual the lesson or cancel the booking by 6pm on the Tuesday (the day before) at the latest. However if something just does come up and you need to cancel within the 24 hour period, we will charge a 50% cancellation fee. ​Cancellations that fall within 12 hours will incur a 100% *cancellation fee. If you have booked a lesson for 2 people and only one of you makes it, we will only charge for the normal single adult hourly rate of $75, not for the 2 adult price of $100. Text 0410 130 445 or email Cirque M or instant messenger Cirque M to cancel so you have a copy of your notification time for your records.